Marvel’s Iron Fist Season 2 launched globally last Friday, leaving fans with a major twist! Colleen Wing, the katana-wielding badass, has inherited the power of the Iron Fist and now is protecting Manhattan. 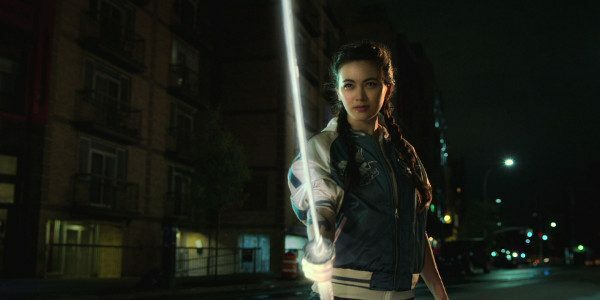 In a newly released featurette, we explore Colleen’s journey through the eyes of Jessica Henwick, the equally fierce woman behind the character. Credits: ​Marvel’s Iron Fist Season 2 stars Finn Jones (Danny Rand), Jessica Henwick (Colleen Wing), Sacha Dhawan (Davos), Tom Pelphrey (Ward Meachum), Jessica Stroup (Joy Meachum), Simone Missick (Misty Knight) and introduces Alice Eve (Mary Walker). Marvel’s Iron Fist Season 2 is produced for Netflix by Marvel Television and ABC Studios. All 10 original episodes of Marvel’s Iron Fist, Season 2 are available now on Netflix.